THANK YOU! - Coalition to SAVE the Menominee River, Inc. 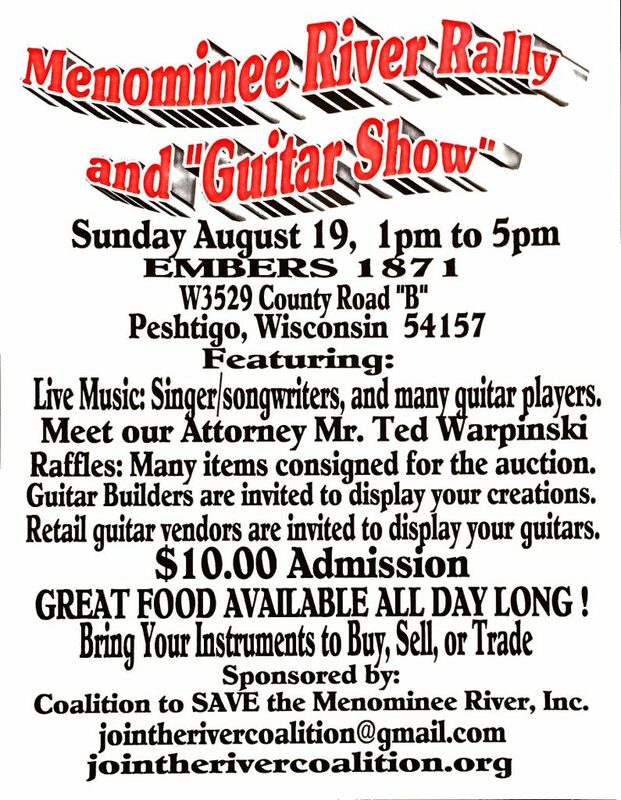 Thank you to everyone who helped make the Menominee River Rally & Guitar Show on August 19, 2018, a huge success! We especially thank our attorney, Ted A. Warpinski, for participating and offering a legal update. We’ve taken action in a big way!